Government Policies: Government policies have a big role to play in determining the future direction to the Indian real estate sector. Consumer protection and industry growth are key areas which government policies can shape up. Apart from being a major employment generator, the Indian real estate sector is also a major contributor to the economy, both directly and indirectly, through sectors like cement, steel and paints. Additionally, there is the acute shortage of housing in the country which needs to be addressed. The government realises the importance and impact of the sector and has taken steps towards strengthening the sector. The long-term plans starting from ‘Housing for All by 2022’ (Pradhan Mantri Awas Yojana) and Smart Cities, to the fairly recent policies of demonetisation, Benami Transactions Act, Goods and Services Act (GST) and the implementation of the Real Estate Regulation & Development Act (RERA). While some of the policies may create an adverse short-term impact, in the long run, they can work towards the goal of enhancing accountability, transparency and professionalism. Demographics:Demographic changes, urbanisation and improving affordability will drive growth over the next decade. Families are increasingly opting to stay as nuclear family units with dual incomes, thereby, increasing the disposable income of each family. Growing aspirations, income growth and lower interest rates make housing affordable to a larger number of families, thus increasing the demand. Changing demographics have in the past shown a reduction of almost 10 years in the average age of the first-time home buyer in India to the average age now coming to approximately 30 years. With borrowing costs in terms of interest rates on the decline, the affordability factor will improve simultaneously. Availability of capital and investments: Domestic as well as foreign investors are eyeing the Indian real estate segment as an attractive investment avenue. 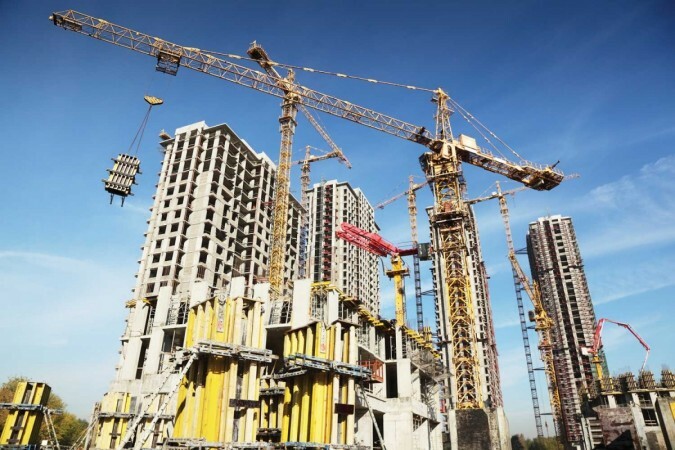 So far, the construction development sector in India has received Foreign Direct Investment (FDI) equity inflows to the tune of $24 billion till December 2016. The government has been proactively introducing structural reforms as well as liberalising foreign direct investment policies. The long awaited introduction of REITs and the performance of the first REIT are expected to set the pace for the way forward. Operating models: An increasingly well informed consumer base and growing interest from global players has prompted Indian real estate players to shift gears and take on fresh challenges — the most noticeable change being the shift from family-owned business models to professionally managed ones. Developers, especially those who have multi-city projects across asset classes, are increasingly incorporating technology and investing in centralised processes to source material, organise manpower and hiring qualified professionals to manage operations. With a view to attracting foreign funding, developers are also increasingly realising the need to enhance transparency. Hence, they are looking at revamping their accounting and management systems to meet the prescribed due diligence standards. Developers or land owners synergising with stronger developers through joint ventures, joint development or development management models. Foreign construction companies with better and cheaper access to funds are already scanning locations for development and expansion. The pace at which changes are implemented, the response of the market and pumping in of capital by investors and developers may see some crests and troughs. Availability of equity capital will play a key role in shaping the future of Indian real estate. Overall, we will see the sector going through a phase of consolidation with the stronger players taking over the market and some of the smaller ones fading away.